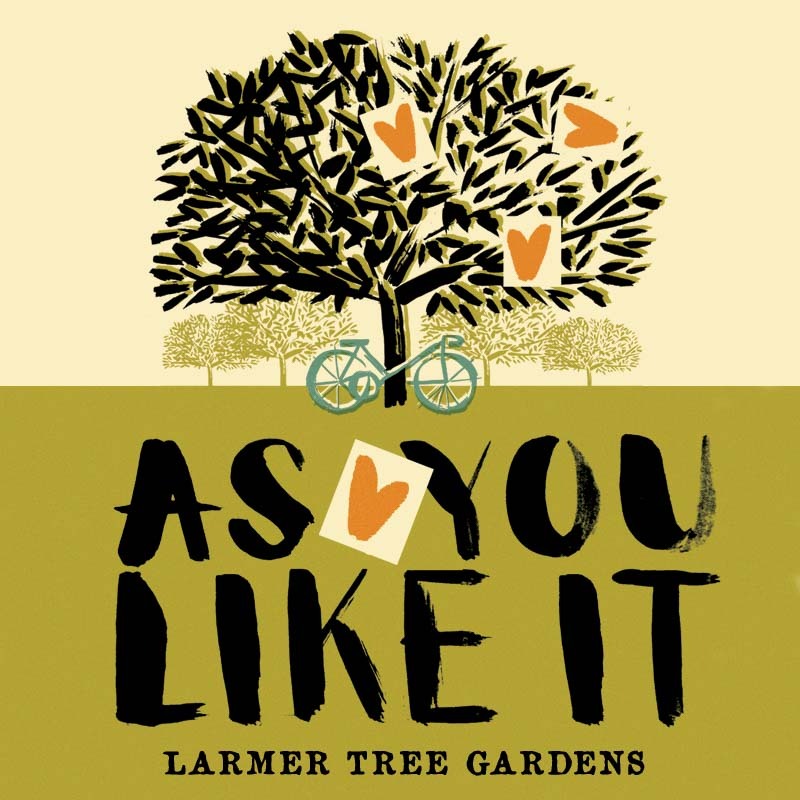 Join the HandleBards’ all-female troupe in the wonderful Larmer Tree Gardens for a bicycle-powered production of Shakespeare’s ‘As You Like It’ like no other. Doors open at 4.30pm, so why not bring a picnic and come and enjoy the beautiful surroundings before the show? One ‘Under 16’ ticket is available free of charge with a paying adult. However, please add this ticket to your cart as well as the corresponding Standard ticket. Tickets will also be available to purchase on the day at the venue, for £17 each. However, our free ‘Under 16’ ticket offer is only available online and in-advance. A £1 booking fee per paid ticket will be added to your total by the merchant. This fee does not apply to complimentary ‘Under 16’ tickets. 65 available	 Under 16 Free One complimentary 'Under16' ticket is available with every Standard ticket purchased. This ticket may be used by anyone under the age of sixteen. Please bring proof of age to the performance, and add this ticket to your cart as well as the corresponding Standard ticket. 65 available	 Standard £15.00 Standard ticket for general admission.